For best performance of your QR Code campaign you and satisfaction of people who scan you have to follow some instructions. So you have done all the basic stuff of creating, printing and sticking QR Code to your windows, now you have to make sure your staff knows about it, understand how it works and encourages your visitors to use it. This is very important because some people will not see it or understand what it means. Remember that the time spent to help newbies understand the codes, explain to them that they’re missing out on exclusive content only available via your QR code, makes them even loyal to your business. One of the most important things is to track the effectiveness of your QR code campaign. 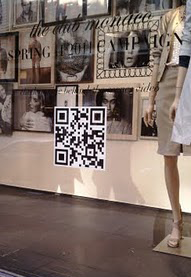 It’s critical to measure the effectiveness of your QR code campaign, so you can see what’s working and what isn’t. We offer such analytics for all codes you create with us because we understand the importance of statistics to business owners. Probably one of the most mistaken uses of QR Codes is to stick it on the window and forget about it. Note that the regular customers who know how to use it and have used it would love to see something new and interesting, instead of showing them the same content over and over. That is why you have to use dynamic QR Codes which content is changeable but the printed code stays the same. You can switch it from liking and following you on social networks, to intro videos, links to events you organize, everything your imagination can think of.